At times, you can find it annoying because you have to keep cleaning up your home to get rid of all the excess hair. Plus, sometimes, pets can be hard to control and therefore the shedding can be spread over the length and breadth of your home. Thankfully, you can keep shedding to a minimum by investing in the right deshedding tool for your dog. 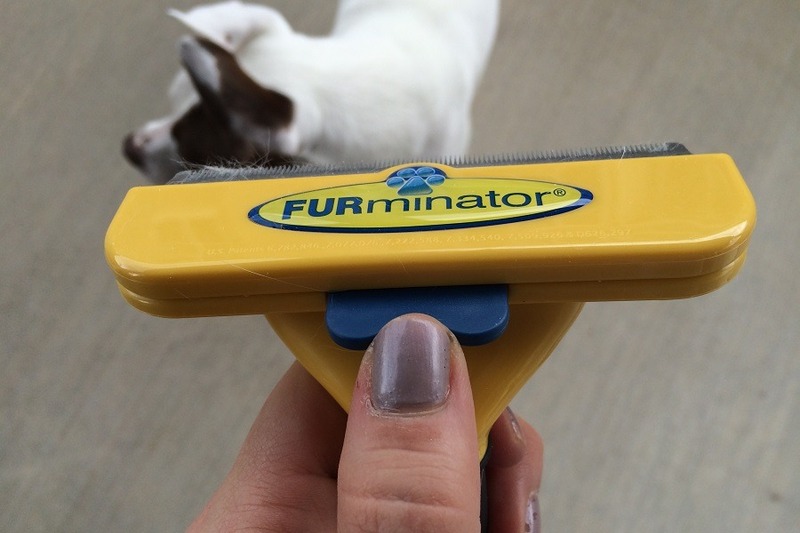 The FURminator deShedding Tool for Dogs has been designed to make life easier for dog owners. Using this tool, you can reduce shedding by up to 90%. This means you no longer have to deal with dog hair all around the house when your pet starts shedding. Removes Loose Hair Gently - You simply have to apply the tool to your dog’s fur and all the loose hair will come off. The process is gentle and easy and this makes it comfortable for both you and your dog. Rest assured, your pet will not experience any discomfort and at the same time, you won’t have to deal with the hair falling off later without you having any control over it. Use this tool to remove the loose hair and clean up afterwards easily. 5 Sizes to Choose From - The tool comes in two versions, i.e. for short hair and long hair. You can choose the product based on the breed of your dog, as some breeds are hairier than others and shed more. What’s more is that you have 5 sizes to choose from, ranging from extra small to giant. This means you can find this product in the exact size that is most suitable for deshedding your dog and reducing shedding by up to 90%. Do make sure you consult the sizing and weight guide before choosing the size for your dog. Ergonomic Handle - Regardless of the time it takes for you to deshed your dog, you don’t have to worry about strain on your arm. The handle is designed ergonomically and makes the process comfortable and convenient. deShedding Edge - The edge of the tool is made using stainless steel and is designed to go deep in your dog’s coat to ensure all loose hair comes off. Once you are done trimming your dog’s hair, you can rest assured there won’t be much shedding later. Designed by Groomers - What sets this tool apart from other deshedding equipment on the market is that it has been designed by professional groomers. In fact, a number of professional groomers also use it. You get a professional-grade tool to reduce your pet’s shedding by 90% in the comfort of your own. Few other tools can offer you such a great deal. The FURminator deShedding Tool for Dogs is one of the highest rated dog grooming products on Amazon. With an average rating of 4.6 stars on 5 at the time of this review, the product has been endorsed and praised by a majority of the customers who invested in it. A customer was so pleased with the performance that he stated that the tool seems like something aliens would have designed in the future and then sent back to make dog grooming easier. 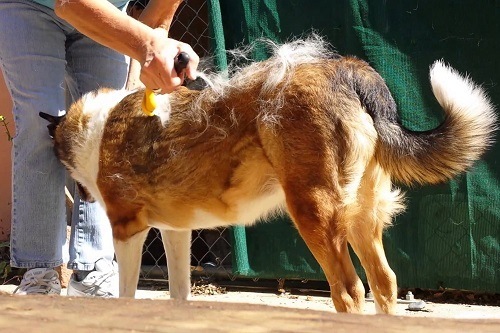 Deshedding a dog is as easy as brushing his hair with this handy tool. A customer wrote that she owns a German Shepherd who tends to shed a lot and this happens all through the year. With this tool, she is able to keep shedding to a minimum and drop the hair where she wants, making cleanup incredibly easy. On the flipside, some customers remarked that they have to exercise extreme caution when using the tool as the teeth are sharp and cause injury and discomfort to dogs. A customer stated that it is important to apply minimal pressure since the tool does an effective job of loose hair even when applied gently. 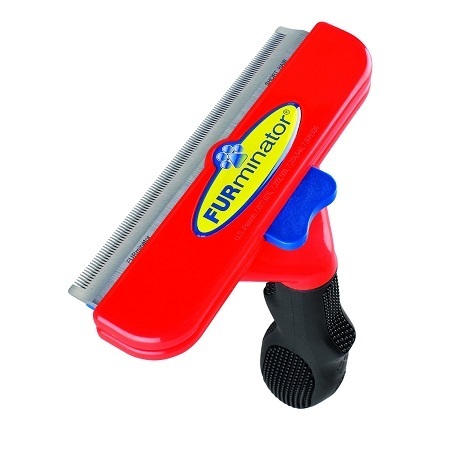 A customer, who was evidently disappointed with the product, stated that FURminator are defrauding customers by importing their tools from China and rebranding them. He also wrote that his dog suffered great discomfort when he used the tool on his hair. Another customer also stated that the tool he received in the package delivered the results but was a fake. This implies that there may be some issues with shipping and packaging, so you should check carefully before using the product. You can purchase this d﻿og gro﻿omin﻿g tool on Amazon starting from $25, which is the price of the extra small, short hair model. The most expensive variant is the giant, long hair model, which costs just under $45. The product will be shipped to you for free through Amazon Prime. 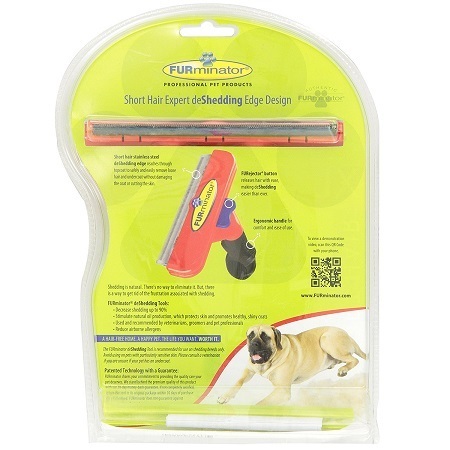 Based on its reasonable price and the overwhelmingly positive rating on Amazon it has received, the FURminator deShedding Tool for Dogs is a must-buy if you are tired of cleaning up after your pet has finished shedding.